For marital and pre-marital couples who want to make their relationship happier, Dr. Ryan provides goal oriented couples counseling and marriage therapy. 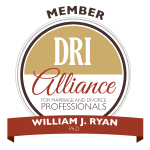 Dr. Ryan will help you see your part in the dysfunctional dance of your relationship while supporting you. Dr. Ryan will be in your corner, rooting for you, and helping you discover the tools and skills to recover and enhance your relationship. Often, people who come into a therapist’s office continue to repeat the same self-defeating stories to themselves, respond to stress in ways that inhibit their psychological growth, and perpetuate disease-producing behavior patterns. Dr. Ryan short-circuits this straightaway, and uses experiential methods that can greatly accelerate progress. Find out more about empowering stories. In couples counseling, Dr. Ryan will help you shift your perception of your relationship from dysfunction to function. You will grow, becoming fellow travelers on a journey to health and wholeness, recognizing that the ongoing struggles that most of experience are catalysts to joy and accomplishment. Find out more about Dr. Ryan’s techniques for Structural Family Therapy, for Accelerated Experiential Dynamic (AEDP) Psychotherapy, and Discernment Counseling. Contact Dr. Ryan today. Set out on the road to a better, stronger, happier relationships.